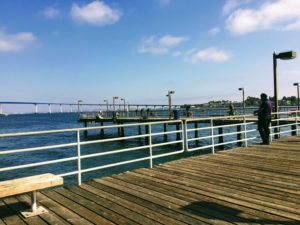 San Diego Fishing Piers-Which One to Choose? 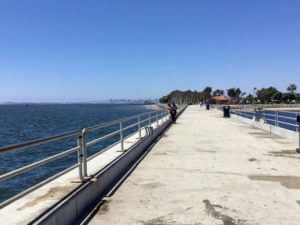 Do you like to take walks on piers? 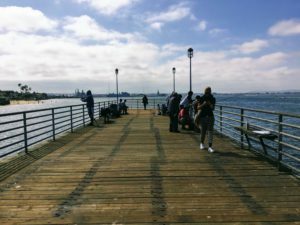 San Diego has several piers to choose from depending on where you are or what kind of fish you wish to catch. Each pier has something unique to offer, be it the type of bottom or surrounding views. 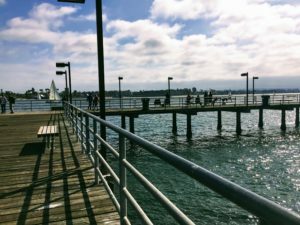 San Diego Bay alone has five different piers! For your convenience I have also added a California Marine Sportfishing Identification Index as well as a California Ocean Fishes Fishing Passport to help the next time you go fishing or if you would like to have a look. 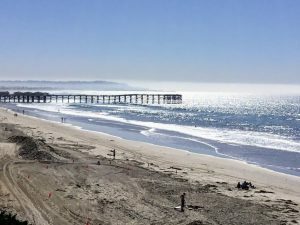 And one last thing, here are the California Saltwater Sportfishing Regulations along with a Guide to Southern California Beach Fishing which legitimately has some great advice. All the piers listed below do not require a fishing license, except Crystal Pier in Pacific Beach. For your assistance, each address is linked to a google map. Beginning for the pier- Here you will find the sand dwellers such as croakers, corbina, barred surfperch, Sargo, round stingrays. Middle of the pier- Halibut, barred sand bass, white croaker, yellowfin croaker, topsmelt, jacksmelt, herring and gray smoothhound sharks. 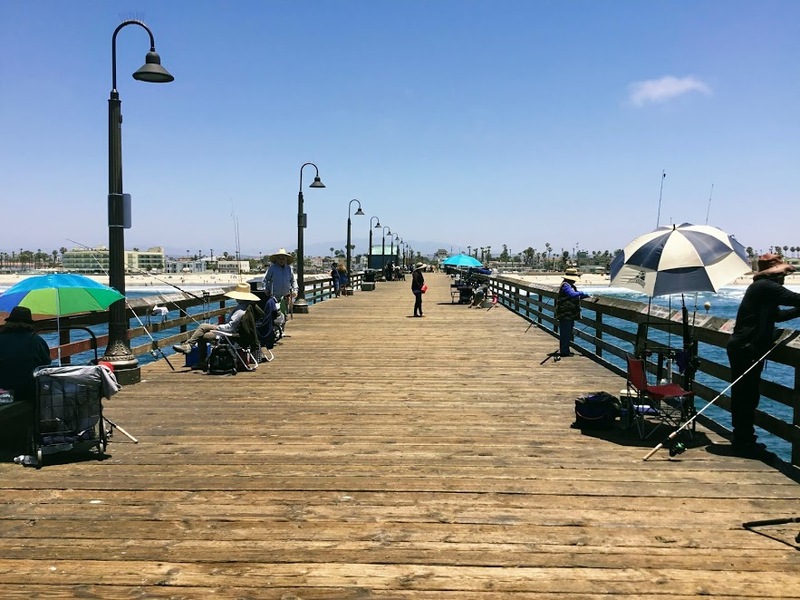 End of the pier– Here you will find more of the pelagic species such as small yellowtail, small white sea bass, bonito, Pacific mackerel, barracuda, kelp bass, barred sand bass. Sometimes even small thresher sharks, blue sharks, leopard sharks, and Salema. Let’s have a look at what is going on under the water! Special thanks to the TASI Youtube Channel for the use of the video. The pier is in the far background with the bait barge in the forefront. Underwater Environment– Shallow bay water with mud and eelgrass, rocky intertidal shoreline with a bait barge nearby. The pier is situated near the channel opening of the harbor. Many different species that are caught at this pier depending on where you cast your line. Fish caught at this location include: jacksmelt, topsmelt, kelp bass, spotted bay bass, white croaker, black croaker, spotfin croaker, California halibut, diamond turbot, fantail sole, sargo, shiner perch, rubberlip seaperch, barred surfperch, opaleye, halfmoon, blacksmith, Garibaldi (illegal), round stingray, thornback ray, bay ray, butterfly ray, kelpfish, California needlefish, shovelnose guitarfish, and gray smoothhound shark. 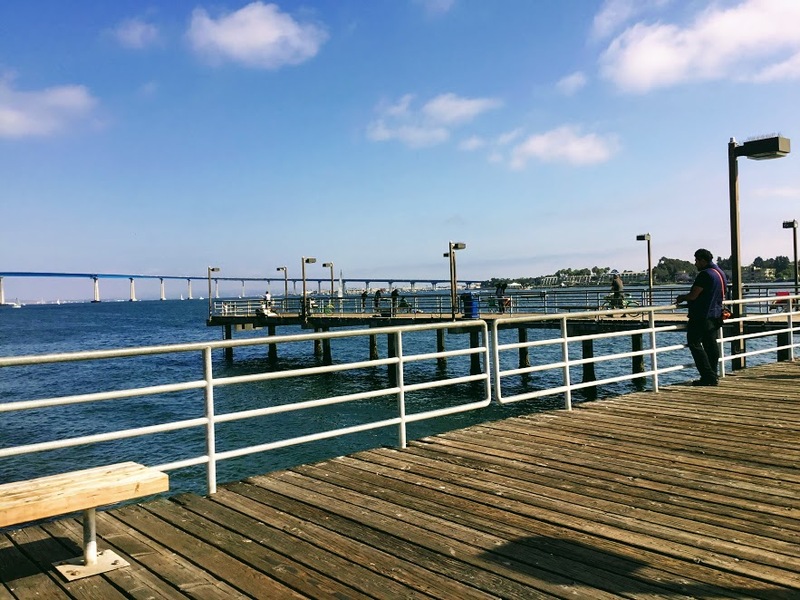 If you are looking for the more substantial pelagic fish that made a wrong way turn into the harbor, you would want to cast straight out from the midpoint of the pier. Keeping the bait up top might land you – bonito, Pacific mackerel, barracuda, or small white sea bass. Underwater Environment– Sandy shore with no rocks. 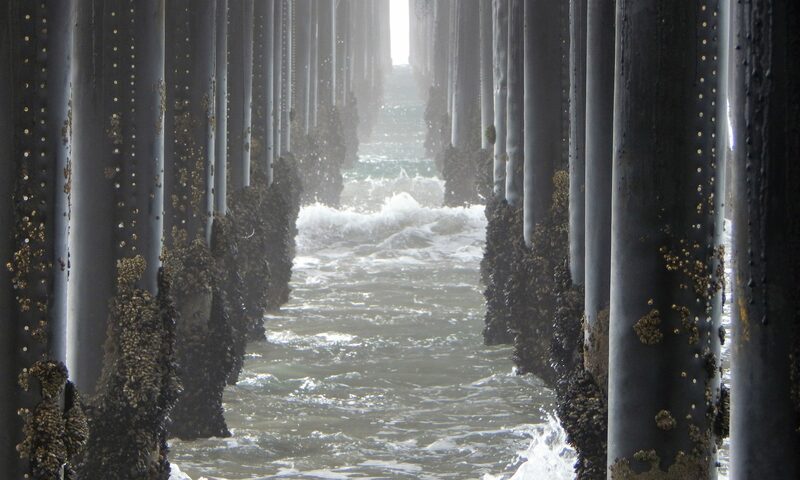 The pilings are covered with mussels, and there is a right amount of kelp growing around the outer and the end of the pier. The water is not as deep as the other coastal San Diego Fishing piers. Tideline– California corbina, barred surfperch, spotfin croaker, yellowfin croaker, stingrays, shovelnose guitarfish, thornback rays. Halfway out/ above the tideline– Walleye surfperch, queenfish, white croaker, California halibut, gray smoothhound shark. End of the pier– Bonito, Pacific mackerel, jack mackerel, jacksmelt, bat ray, small to mid-size white sea bass. Best Spot– Halfway out on the south side. 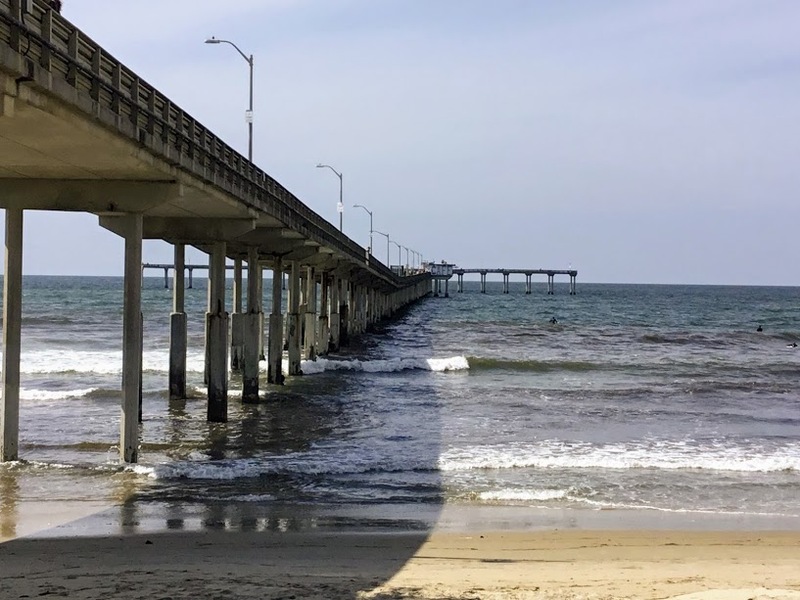 Size– 1971 feet- making it the longest concrete pier in Southern California. 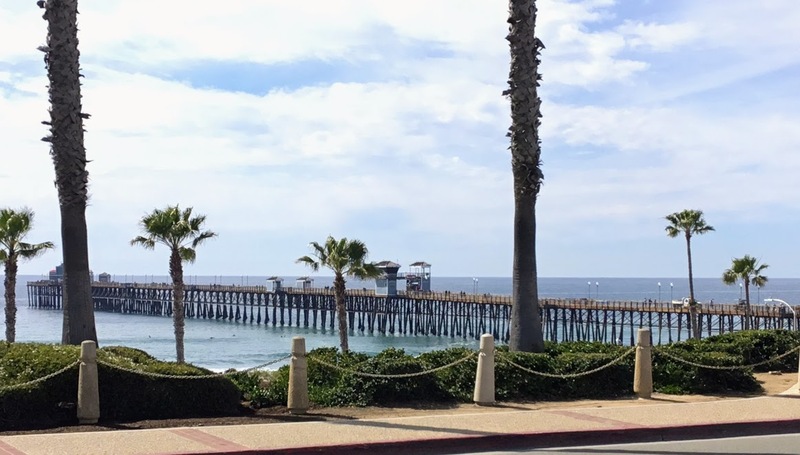 The pier is T-shaped with 360 feet on the south end and 193 feet on the north end. There is over 1 mile of pier railing. Underwater Environment– The Kelp Forest is on the south end of the T, with a depth of 25 feet. There is a reef off the north end of the T and yields the most fish out of any other areas on the pier. Inshore is rocky intertidal. On the south end which is in the kelp forest, yields kelp bass, sand bass surf perch, bonito, Pacific mackerel, California scorpionfish, California halibut, California lobster (keep only when in season) and occasionally a small Giant Black sea bass (illegal). On the north end, is where most of the fish are caught due to an underwater reef just off the pier. Midway out, on both sides of the bait shop, you will see white croaker, queenfish, jacksmelt, Pacific mackerel, barracuda, walleye surfperch, and small white sea bass. This area also yields California halibut, shovelnose guitarfish, and bat rays in the Spring and Summer. Inshore, the foot of the pier is built over a rocky cliff area. When the tide is high, this shallow area will yield rocky intertidal species such as rubberlip seaperch, black perch, halfmoon, opaleye, blacksmith, senorita and occasionally a moray eel or even a California spiny lobster. 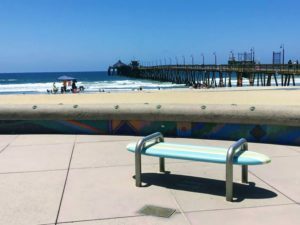 Best Spot– North end of the T.
Underwater Environment– Sandy shore, 20 feet deep with short finger jetties to the north of the pier. There is a substantial growth of mussels and barnacles on the pilings and an artificial 1/2 moon-shaped rock reef near the end of the pier. End– Pelagic species such as bonito, Pacific mackerel, bonito, small barracuda and occasionally a small white sea bass or small yellowtail. Fishing in deeper water by the pilings may land you a rubberlip surfperch. 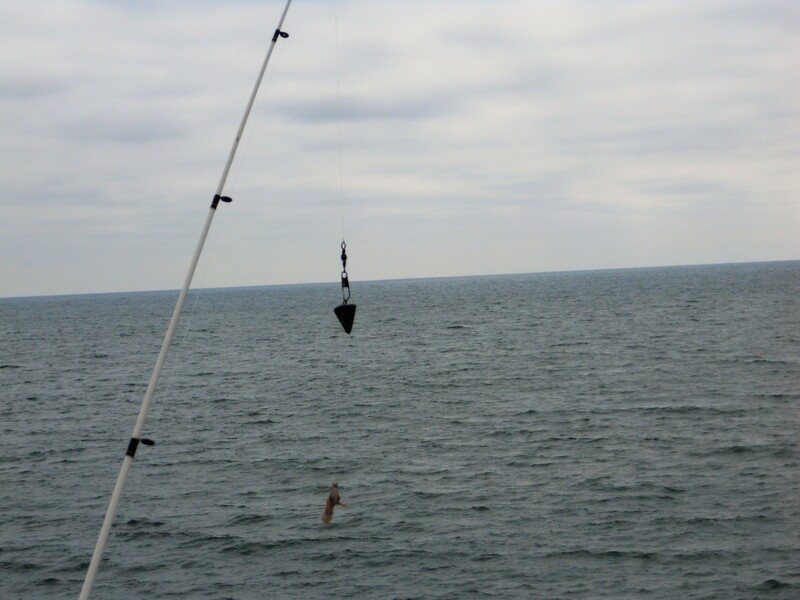 MIdway– Shallow species such as white croaker, queenfish, walleye surfperch, jacksmelt, California halibut, gray smoothhound shark, shovelnose guitarfish. 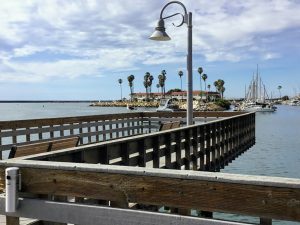 Inshore– Surfline species like barred surfperch, California corbina, yellowfin croaker, spotfin croaker, thornback ray, stingrays, shovelnose guitarfish and sometimes a California halibut. 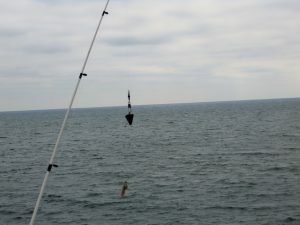 Best Spot– According to Pierfishing.com, the best spot is behind or in the surf zone and about halfway out right where the pier begins to slope upwards. 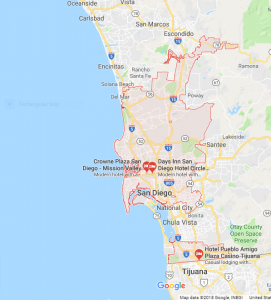 Fun Fact- Imperial Beach is the most southwesterly city in the United States! 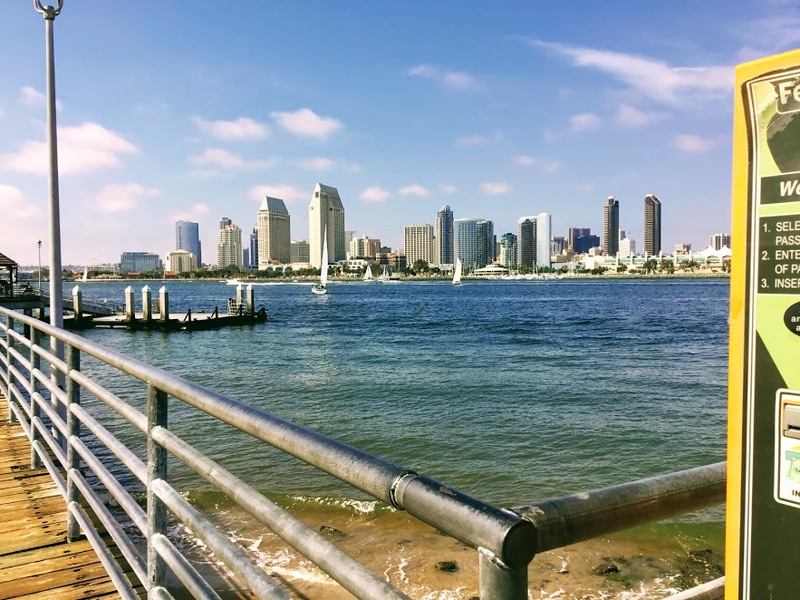 San Diego Bay is a natural harbor with an average depth of 22 feet which is over 13 miles long and 1-3 miles wide. 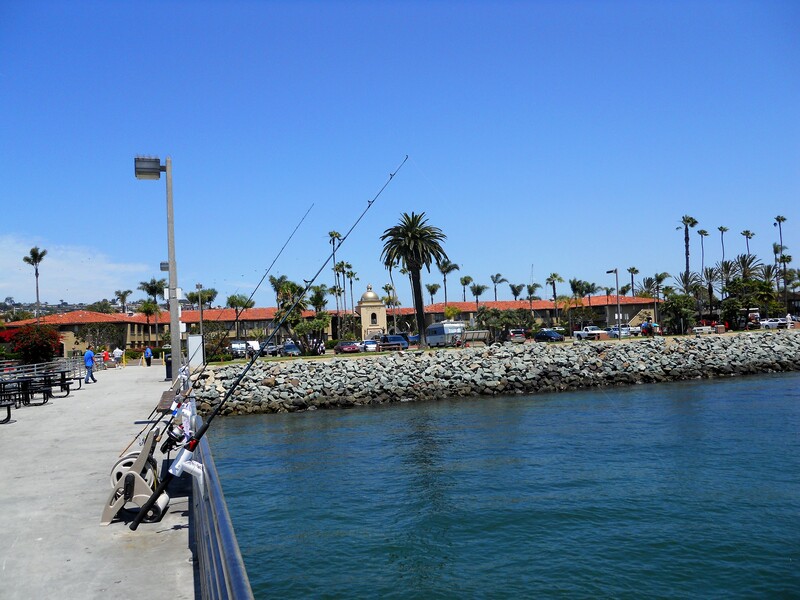 There are five different fishing piers to choose from. 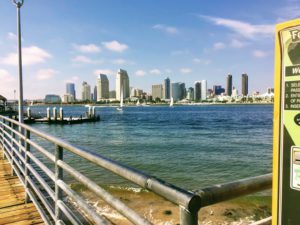 First starting closest to the mouth of the bay is Shelter Island Pier, followed by the Embarcadero Pier that is located right behind the San Diego Convention Center. 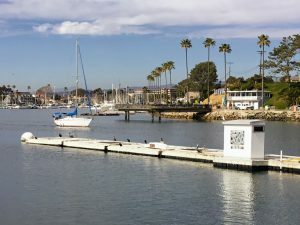 Next, in National City, the Pepper Park Pie is adjacent to the Sweetwater River Channel, followed by the Bayside Park Pier in National City located just outside of the Chula Vista Harbor. 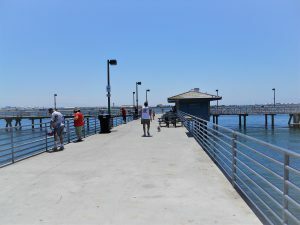 Finally, looping around the San Diego Bay, I will be ending the list with the Coronado Ferry Landing Pier which is found behind the Coronado Ferry Landing Marketplace. 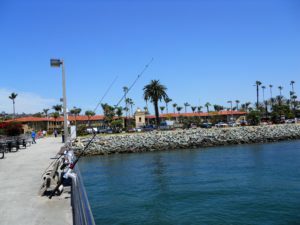 There are many options to choose from when fishing in San Diego Bay! For a general overview, typically when fishing in the bay, you will find that the fish on the top include topsmelt, jacksmelt, Pacific mackerel and bonito. While croakers, bass, sharks, rays, and perch, are found on the bottom. Size– T-sharped wooden pier, 200 feet away from the shore and 500 feet in width. Underwater environment– A mixture of mud, sand, eelgrass with a few rocks. At times the underwater current can get very strong. California halibut, Pacific mackerel, topsmelt, jacksmelt, kelp bass, barred sand bass, spotted sand bass, yellowfin croaker, queenfish, black perch, opaleye, California scorpionfish, turbot, bonito, barracuda, gray smoothhound shark, shovelnose guitarfish, bat ray, and lizardfish. There are a few rare fish that have been seen here as well, such as the angel shark, thresher shark, and the giant butterfly ray. Best Spot– Any spot is good but if you are looking for opaleye, right next to the bait shop is best. Hours– Open 24 hours, but the parking lot closes at 10 pm. Underwater Environment– Shallow bay water with muddy bottom and eelgrass as well as an artificial reef just off the pier. Kelp bass, barred sand bass, spotted sand bass, jacksmelt, topsmelt, walleye surfperch, yellowfin croaker, white croaker, spotfin croaker, Sargo, lizardfish, needlefish, queenfish, diamond turbot, California halibut, shovelnose guitarfish, bat ray, leopard shark, round stingray, and gray smoothhound shark. 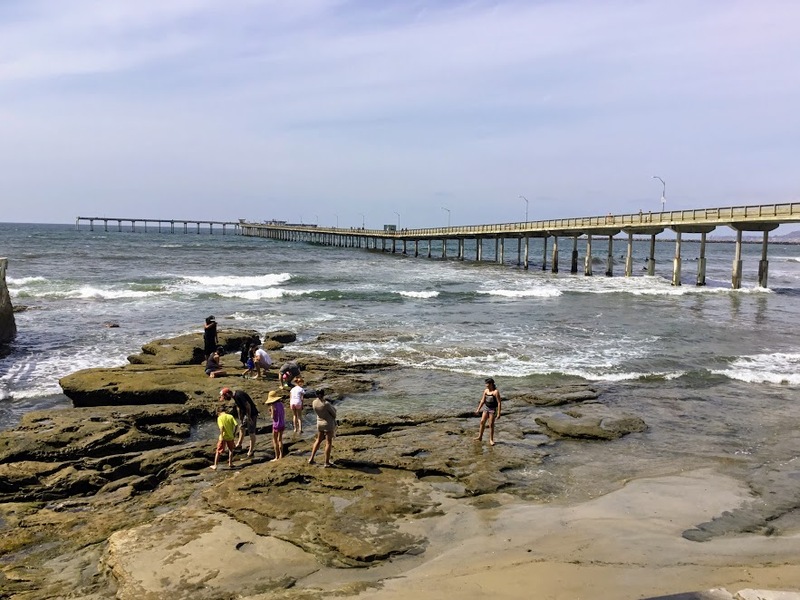 When schools of pelagic fish make their way into the bay, there can be good fishing for bonito, Pacific mackerel and small barracuda at this pier. Some uncommon fish have been seen here as well, such as horn sharks, thresher sharks, and small white sea bass. 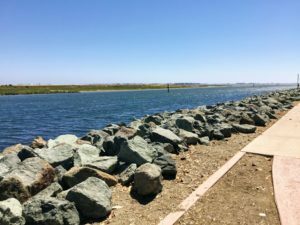 Best Spot– Bayside, but it is ok toward the rocks as well. Size– 162-foot wide wooden T-shaped pier. 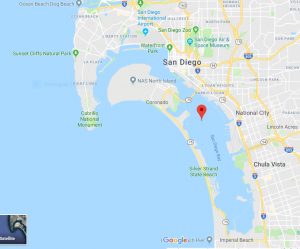 Underwater Environment– Located right next to where the Sweetwater River Channel enters into San Diego Bay. Sandy bottom with little growth on the pilings. Some of the deepest near-shore water fishing opportunities are found here due to the dredging of the flood channel. On the other side of the river is the Sweetwater Marsh National Refuge which acts as a fish nursery. Resident species-topsmelt, jacksmelt, white seaperch, black seaperch, kelp bass, barred sand bass, spotted bay bass, croakers, rays, California halibut, turbot, gray smoothhound shark, leopard shark, shovelnose guitarfish, bat ray. Seasonal pelagics, Pacific mackerel, bonito and barracuda. Fun Fact- Seeing that this pier is located right next to a river channel, in the winter after a big storm the water surrounding the pier becomes less saline. As a result, fish populations become sparse. 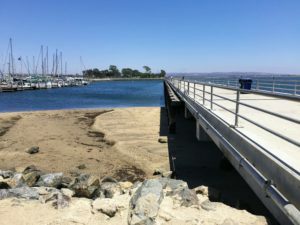 Size– A small concrete pier located at the entrance of the Chula Vista Marina in the south end of San Diego Bay which is an industrial area. Underwater Environment– Muddy and shallow water situated right next to the Marina. Here you will find the typical bay species such as queenfish, topsmelt, jacksmelt, diamond turbot, California halibut, shiner perch, shovelnose guitarfish, bat rays, round stingrays, gray smoothhound shark, and leopard shark. Not as common but these fish have been seen here as well- Pacific mackerel, bonito, California needlefish, black perch, barred sand bass, spotted sand bass, yellowfin croaker, and mullet. Best Spot– On the outside of the pier. Hours– Open 24 hours. 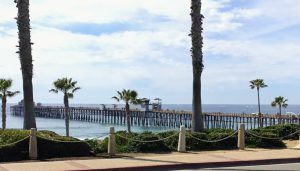 The pier is located behind the Ferry Landing Marketplace which is a group of small shops and restaurants. Size– 377-foot boarding area for the Coronado Ferry that allows anglers to fish but away from the Ferry landing. Pacific mackerel, bonito, jacksmelt, topsmelt barred sand bass, spotted sand bass, kelp bass, black perch, white seaperch, rubberlip seaperch, sargo, white croaker, Salema, gray smoothhound shark, bat rays, shovelnose guitarfish, needlefish, California halibut, and sometimes shortfin Corvina. 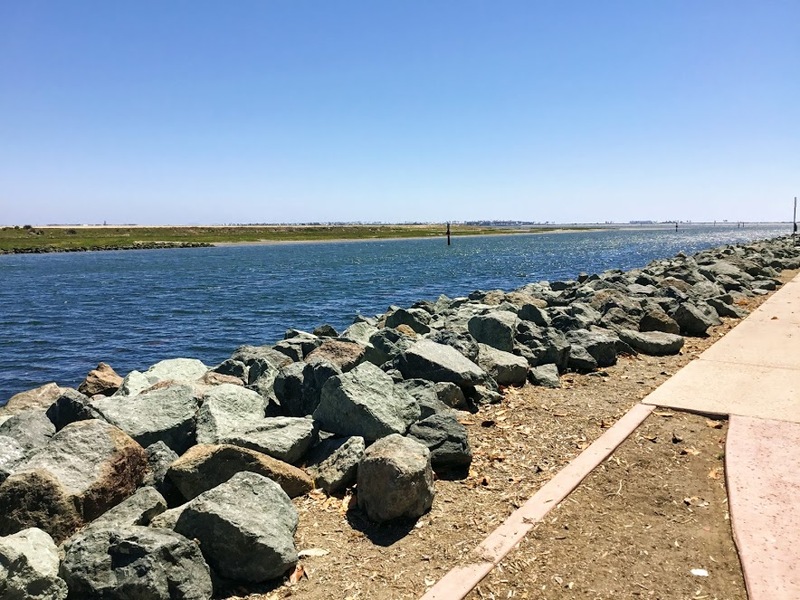 Best Spot– Grassy areas for barred sand bass and under the far left corner for halibut. 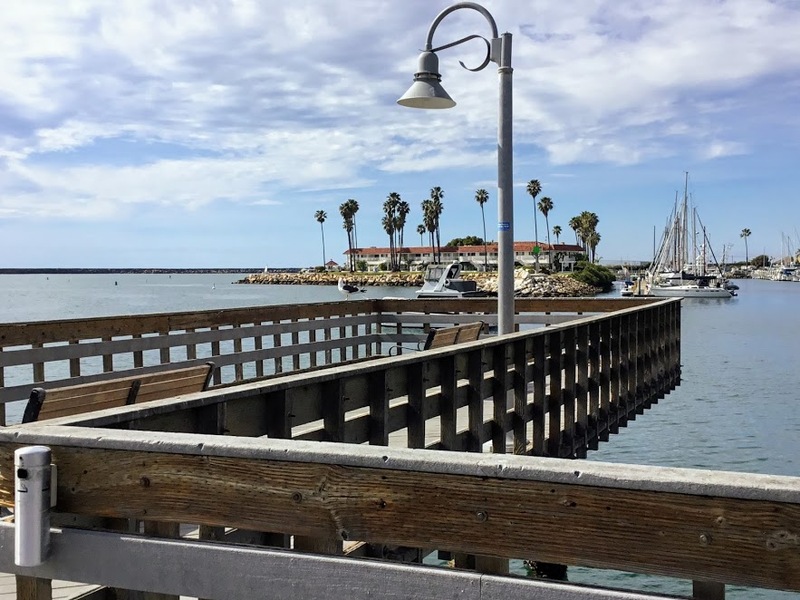 We sure have a large selection of fishing piers to choose from here in San Diego. Regardless of what you are looking for, you are in for a treat. Each pier has something unique, so I suggest you try them all out and find the right “fit,” so to speak. I hope you enjoyed yourself, and one day you too can walk up and down these piers in person! Please feel free to leave any comments or questions down below. I’ve never gone fishing before, but I’ve always wanted to visit San Diego and catch a Charger’s game…until they moved to LA. Which pier do you enjoy going to most? Hi William! 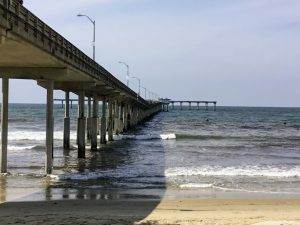 If I had to pick a pier to walk on it would have to be Ocean Beach Pier seeing that it is the largest in Southern California, but if I were to fish, I would pick Crystal Pier. Hope that helps and thanks for the comment. How are the tourists in each of these spots? Is there a place that isn’t full of people all of the time? Hi Steve. Thank you for your question. I would say that Crystal Pier is not as crowded as most, but it is tough to find parking at this pier on the weekends. Also, there are a ton of tourists here that like to walk the pier. To be honest, all the piers are crowded on the weekends. 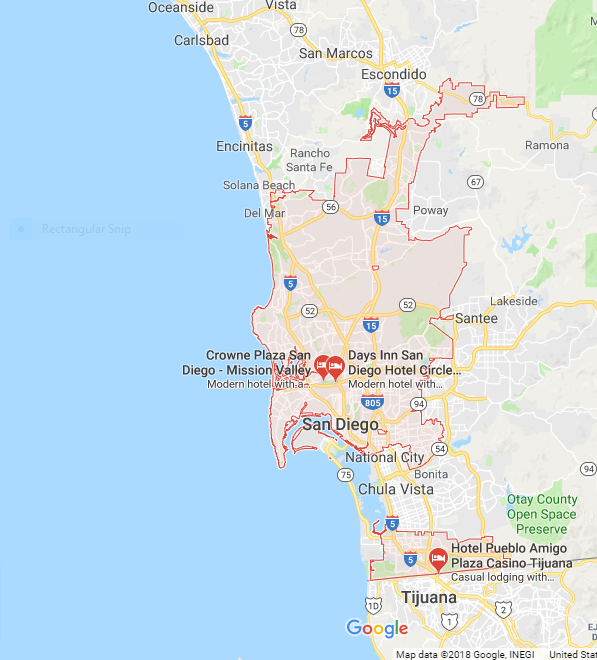 I’m looking to visit San Diego later this year visiting family. With nearly a month to explore and me being an avid fisherman, it’d be rude not to cast a line. Have a do at catching something other than just the usual pike/carp I go for here in the UK. I’ve got to say this is the most comprehensive guide to fishings spots I’ve ever come across… Thank you! I’m liking the look of pepper park pier. What’s the fishing like in October? Hi Anthony! I am so glad that you found this list helpful for you! How exciting that you will be down in San Diego in October. I did a little research for you. 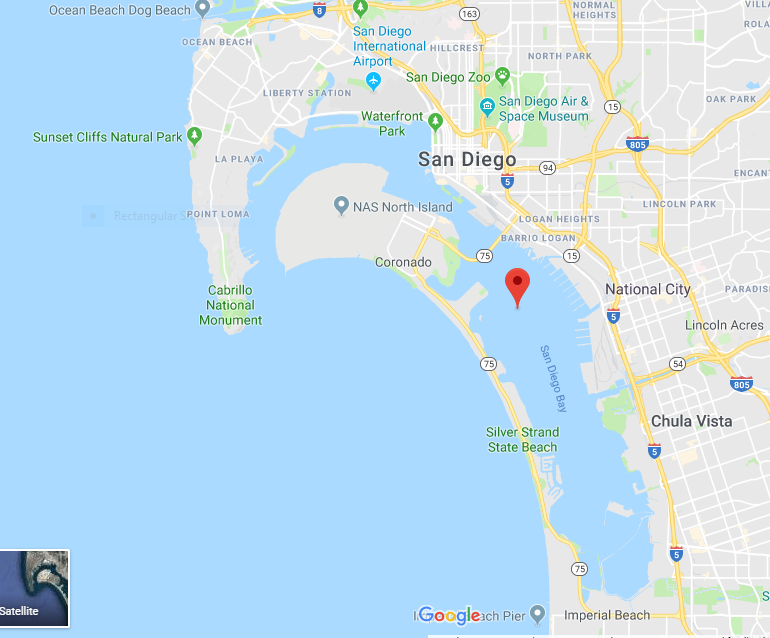 If you are interested in fishing San Diego Bay in Chula Vista, you will be coming at the tail end of the Halibut and kelp Bass, barred sand bass season. All three species are known to frequent South Bay ( the Southern portion of San Diego Bay). Regardless, the scenery alone is fantastic. Also, remember that the Bayside Park Pier and the Embarcadero Piers are both close by as well. Have a fantastic time! This is a great review, thank you! I will bookmark your site for when we next visit. My husband is always on the lookout for good fishing spots too. 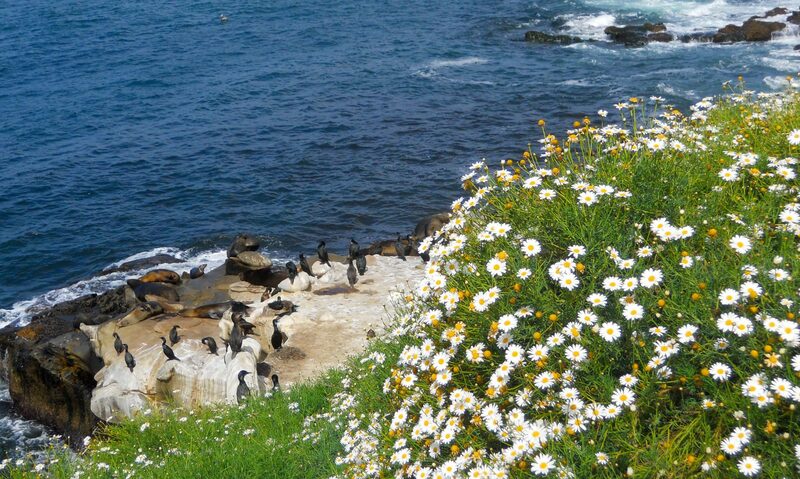 It is such a beautiful area! This hass a lot of good info. I am new to the SD area and am gathering fishing info. Any places you might recommend to go for hoop net lobsters off piers as I don’t have a boat? Thanks. Hi Ken! Thank you for the comment. If I had to pick one pier to fish for lobster, it would be the Ocean Beach Pier. 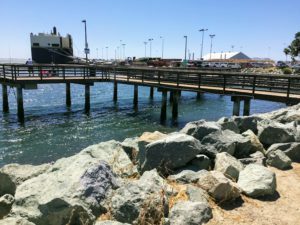 On the south side of the pier, there is a kelp forest and rocky shore as you make your way in. I hope this helps! Good luck and please feel free to come back anytime to tell me what you caught! Thanks for the tip. I went to OB and there was many lobsters just under legal at 3″. I did not have any keepers. 16 were let go to grow. My trap bait got cleaned out by 2 seals so I went home. I only saw 3 keepers around me. A couple of weeks earlier I went fishing for bait here and it was great for macs. Now they all seemed to have gone away. Is there a season for macs? The lobsters and seals like them. Hi Ken! Thanks for checking in after lobster fishing. I am happy to hear that at least there were small lobsters around the pier. As for mackerel, they are more a summer fish with their season being between June-March. When researching it says the winter mackerel have less fat on them. Also, Oceanside Pier gets a lot of mackerel. Good luck next time!